Bed and Breakfasts have become one of the most popular forms of lodging in the Texas Hill Country, with the majority of them (300+) in the Fredericksburg area. Have you ever wondered how this business began? It all started in 1975 when Kenn Knopp, his mother and brother traveled to Germany, and stayed in a home stay bed and breakfast. Although Kenn was completely against this type of lodging, he eventually gave in and stayed the full length of their Germany trip in the bed and breakfast. Needless to say, he enjoyed this experience so much that he came back to Fredericksburg and talked a few ladies into “trying” bed and breakfast to see if they would enjoy having an occasional visitor and in turn receive a bit of “extra money”. It was an opportunity to meet and make new friends and each one of the ladies, including Kenn’s mother loved their new business. The first bed and breakfast charged $30 for a single room and $45 for a double bed, continental breakfast included. Soon the word was out and others asked how they might go about joining in the fun….and profit. Kenn then organized the first reservation service in the Hill Country. His idea was to have a central reservation service and membership organization to keep a check on standards and maintain consistent and fair prices. This was the beginning of a business that has expanded greatly throughout the state of Texas. Although there are many bed and breakfasts, home stays are really a thing of the past. Bed and Breakfasts typically have a private bath and some even have the breakfast delivered to the guest directly to enjoy in the privacy of their own room – in their pajamas if they like. Most of the properties in the Hill Country are guesthouses, but there are many traditional bed and breakfasts that enjoy meeting, greeting and spoiling their guests. the area and the opportunity to make friends with the hosts as well as other guests. Traditional Bed and Breakfasts typically offer private baths. There are some traditional bed and breakfasts that are private cottages and have a full breakfast delivered to them at a specified time each morning. GUESTHOUSE/GÄSTHAUS (in German pronounced guest-a-house). This lodging has become the most available and the most in demand. In a guesthouse/Gästhaus, you or your party are the only guests in the home. There is no host in the house. You have the whole house to yourselves! Some of these properties have hosts living next door or nearby. A variety of breakfasts could be offered (many times there is just coffee and tea), and a variety of locations are available. 2) Large beds – king beds seem to be the preference, but queen beds are also very popular. 3) Fireplaces – our cold winter nights bring a demand for fireplaces, and there are all kinds available – wood burning, gas log, electric-log and the freestanding stoves. 4) Large whirlpool tubs are very popular for that special occasion. 5) Hot tubs are great for those that prefer being outside. 6) Décor – the majority of the homes offer a theme – European décor, Country Elegant, Texan, Southwestern, Country Antique, etc. 7) Historical homes are still and always will be an important part of our business. It seems we are all reaching into our past and back to the important things in life. 8) Large homes have become increasing important in our business. Many of our guests want to share their experience with their friends and family for reunions, events and the holidays. Don't assume that each property has everything you are looking for. If a hairdryer, iron, or television is important to you, ask if these things are available in the house you are renting. Many country homes do not have television reception, but may have a VCR or DVD player. Some homes in town do not offer televisions for a variety of reasons ranging from “romance” to “getting back to basics”. Whatever the reason it might be a good idea to pack a game, book or an opportunity to brush up on “getting to know each other”. 1) What price range are you comfortable with? Bed and breakfasts/guesthouses range from $65.00 - $250.00 a night. 2) Do you prefer a Traditional Bed and Breakfast or guest house? 3) Is your preference the country setting or in town? 4) What amenities are important to you? 5) Are there any children in your group? Although there are many properties that do welcome children, there are some homes that just sleep two or are not built and decorated children friendly? 6) Are you a smoker? Many properties do allow smoking outside. 7) Pets – if your pet is important, ask for a pet friendly property. There is usually a small fee added to the rate. 8) Telephones and Internet access. Many homeowners do not have phones on the property since most guests carry their cell phones with them. We are seeing more and more properties offering Internet access, which I think will be a big request in the future. 9) Private baths – although the majority of the bed and breakfasts do have private baths, it is important that you know up front that the property you are renting does offer a private bath. 10) Any special needs – handicap or dietary restrictions? 11) Cancellation Policy – As with many lodging types these days, bed and breakfasts usually have a cancellation policy. This should be told to you up front and followed up with a confirmation. Internet makes shopping for that special property a lot easier. You can go on-line and look at the photos and amenities – then many times you can make your reservation right on that Internet site. There is a property for everyone – and despite what most people think the prices are very reasonable. I encourage you to stay in a Bed and Breakfast or Guesthouse – our guests tell us that once they have tried it they find that the bed and breakfast/guesthouse properties are more comfortable, have more privacy and have a feeling of being at home. Guests vow never to stay in a hotel or motel again. Donna Mittel is the owner of Gästehaus Schmidt Reservation Service, 231 West Main, Fredericksburg, Texas 78624 - 866-427-8374. Enjoy James Watson at the Hangar Hotel Officer's Club, on Highway 16 South. Please call 830/997-9990 for more information. Enjoy live music from Zach Walther at The Auslander Biergarten and Restaurant (323 East Main Street) March 29 at 8 pm. Please call 830/997-7714 for more information. Enjoy live music from Owen Temple at The Auslander Biergarten and Restaurant (323 East Main Street) March 28 at 8 pm. Please call 830/997-7714 for more information. Pauline Reese will perform in the world famous Luckenbach Dancehall Friday night. Please call 888/311-8990 or 830/997-3224 for more information. Learn pottery, ceramics, porcelain, raku clay from one of the best, artist Ryan McKerley at The Art Academy Fredericksburg, 350 Goehmann Lane. Ryan's class is limited to 10 people, with all materials, tools and firing included for $355. See Ryan's work at www.ryanmckerley.com and register for his class at 830/990-5000. Gillespie County Farm Bureau, Texas Farm Bureau and Texas AgriLife Extension Service are hosting "Texas Farm Vehicle Compliance Workshop" at the Farm Bureau office, 237 Equestrian Drive. The program will include information on vehicle qualifications, registrations, exemptions, inspections and more. Please call 830/997-4396 to RSVP and for more information. Enjoy Duncan Holmes at the Hangar Hotel Officers Club. Please call 830/997-9990 for more information. Enjoy live music from Beth Garner in the Biergarten at The Auslander Biergarten and Restaurant, 323 E. Main Street at 8 pm. Please call 830/997-7714 for more information. Join Wildseed Farms, east of Fredericksburg on Highway 290, and the Almost Patsy Cline Band for some toe-tappin' music in the middle of the wildflower fields on March 29, 2008 from 2 - 6 PM. Beer and wine available and a dance floor if you feel like kickin' up your heels. Please call 830/990-1393 for more information. 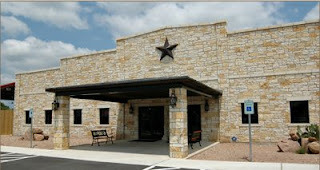 Cabernet Grill -- Texas Wine Country Restaurant (formerly Cotton Gin Restaurant), located at 2805 S. Hwy 16 in Fredericksburg, will present the second in its Texas Wine Maker Vintner Dinner Series on Wednesday, March 26 at 6:30 p.m., featuring wine makers Ken and Jenise Maxwell of the Torre Di Pietra Winery. This reservations-needed event, with its savory menu, will cost $49.95 (plus tax and gratuity) per person. To reserve your seating, call 830-990-5734. Ask about the restaurant's new name! Enjoy Easter with a brunch buffet at Navajo Grill, 803 E. Main Street. For reservations, please call 830/990-8289. Share a special Easter dinner at Riven Rock Ranch, 390 Hermann Sons Road in Comfort, a luxury resort in the Hill Country. Two seatings at 12:00PM and 3:00PM. Cost is $36.95 for adults and $21.95 for children 10 and under, plus tax and gratuity. To make reservation, please call 830/995-4045. Enjoy Duncan Holmes at the Hangar Hotel's Officer's Club on Highway 16 South on March 22. Please call 830/997-9990 for more information. Enjoy live music from Charlie Sexton at The Auslander Biergarten and Restaurant (323 East Main Street) March 22 at 8 pm. Please call 830/997-7714 for more information. Enjoy piano lounge music by Randy Dennis and Jennifer Wehmeyer at the Hangar Hotel's Officer's Club on Highway 16 South. Please call 830/997-9990 for more information. Enjoy live music from Guy Forsyth at The Auslander Biergarten and Restaurant (323 East Main Street) March 21 at 8 pm. Please call 830/997-7714 for more information. Enjoy dancing to the Jamie Richards Band in the world famous Luckenbach Dancehall. Please call 888/311-8990 or 830/997-3224 for more information. Resident artists will contribute new paintings for this themed show at Whistle Pik Galleries, 425 E. Main Street, based on their interpretation of "Streams of Life". This event runs from March 21 through April 05, is free and open to the public from 10am to 5:30 pm daily. Please call 830/990-8151. Enjoy live music from James McMurtry at The Auslander Biergarten and Restaurant (323 East Main Street) March 20 at 8 pm. Please call 830/997-7714 for more information. Reserve your seat for another fabulous wine dinner at Troisi's Italian Ristorante' featuring wines hand selected from the Napa Valley Region of California. Cost is $95 per person, tax and gratuity not included. Limited seating, so make your reservations by call 830/685-3415 or 830/685-3090. The Trois Estate at Enchanted Rock is 16 Miles North of Fredericksburg on Ranch Road 965. Enjoy live music from Cory Morrow at The Auslander Biergarten and Restaurant (323 East Main Street) March 19 at 8 pm. Please call 830/997-7714 for more information. Soto & Schmidt, 222 W. Main Street, are excited to present "Designs with Texas Tulips" on Tuesday, March 18, from 1-3 pm. Extraordinary beauty and you can grow and create yourself. Space is limited, please call 830/992-3157 for reservations and more information. Enjoy live music from Walt Wilkins & the Mystiqueros at The Auslander Biergarten and Restaurant (323 East Main Street) March 18 at 8 pm. Please call 830/997-7714 for more information. Enjoy live music from Jimmy LaFave at The Auslander Biergarten and Restaurant (323 East Main Street) Monday March 17 at 8 pm. Please call 830/997-7714 for more information. Make this year's break both educational and fun for the entire family with three acres of interactive living history demonstrations at the Pioneer Museum, 309 West Main. Learn how early German settlers sheared sheep, spun wool, quilted, worked with metal and wood, made soap, rope and much more. Also enjoy a frontier chuckwagon. Activities vary daily. Admission is $4; children under 12 are free, and hours are Monday through Saturday 10 a.m. to 5 p.m. and Sunday 1:00 p.m. to 5:00 p.m. Call (830)997-2835 for more information. Enjoy a brass quintet concert by the Lone Star Brass at Fredericksburg United Methodist Church, 1800 N. Llano, Sunday March 16 at 3 pm. Please call 830/997-7679 for more information. Enjoy live music from Bruce Robison in the Auslander Restaurant Biergarten, 323 E. Main Street, Sunday March 16, at 8pm. Please call 830/997-7714 for more information. Enjoy dancing to Thomas Michael Riley in the world famous Luckenbach Dancehall, March 16, at 1 pm. Please call 888/311-8990 or 830/997-3224 for more information. Enjoy live music from Gary P. Nunn in the Auslander Biergarten, 323 E. Main Street, tonight at 8 pm. Please call 830/997-7714 for more information. Enjoy live music from Billy Jo Shaver The Auslander Biergarten and Restaurant, 323 E. Main Street, at 8 pm Saturday night. Please call 830/997-7714 for more information. 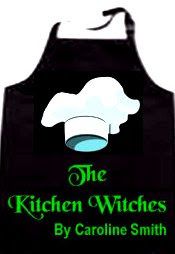 The Point Theatre indoor stage On Thursday, March 13 thru Saturday the 15th at 7:30 p.m., The Point Theatre indoor stage presents "The Kitchen Witches," a comedy about two rival cooking show hostesses who fling insults faster than food. The Point Theatre is at 120 Point Theatre Rd. South in Ingram. Call (830) 367-5121 for more information. Molly Fowler, gourmet cooking instructor from Houston, makes regular appearances at Runnymede Country Inn. Ms Fowler appears in Dallas, San Antonio, Austin, Houston and Fort Worth where she regularly sells out her fun and lively classes at locations including Central Market, and specialty shops around the state. She makes regular appearances on "Great Day Houston" as The Dining Diva. Menus for Entertaining is Ms. Fowler's new cookbook, released November, 2007 and available for sale at the Inn. Call (830) 990-2449 to make reservations. A delectable menu for those who want to pack it up and enjoy dining throughout the beautiful Hill Country while viewiing wildflowers! Cost is $35 per person. Chocolate Caramel Brownies -- over the top! Wild About Texas 2008 Dinner Tour featuring Texas produced game meats and locally grown produce. Enjoy this 5 course dinner at Riven Rock Ranch Resort in Comfort for $60 per person + tax and gratuity. Seating is limited, please call 713/857-2833 or 830/456-1485 for reservations and more information. This evening's menu is a delicious taste of Greek cuisine. Reservations are $40 per person. 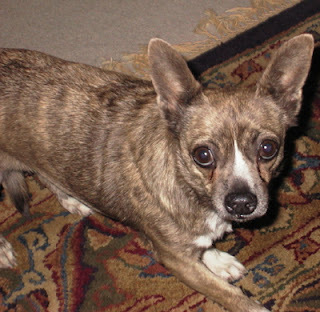 Patty is a little dog thrown from the window of a car that was rescued by The Trudy Brune Hill Country SPCA and after rehabilitation, was placed with a loving new owner. They honor Patty each year with this great fundraiser. Enjoy food, green beer, Irish dancers and donations for raffle prizes are always appreciated. There is an appreciated $15 donation at the door. Please call 830/990-9085 for more information and ways you can make a difference. Enjoy your favorite recipes at Bonterra Restaurant, with Chef Steve Howard, throughout the week with the change in hours to now include Monday evenings, and beginning March 18, lunch will be served Tuesday through Saturday. 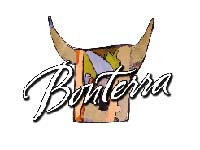 Hours of operation for Bonterra, located at 1440 N. Hwy 87 in Fredericksburg for dinner is Monday  Thursday, 5:00  9:00 p.m., and Friday  Saturday, 6:00  10:00 p.m. Lunch is served 11:00 a.m.  2:00 p.m. For information, call Bonterra at 830-997-9742. Watch for news on Bonterras upcoming Art Festival with food & wine to be held in April! Hill Top Café, located 10 miles north of Fredericksburg on Highway 87, has announced that they will be open daily during spring break week. The restaurant is normally closed on Mondays and Tuesdays. For more information, call (830)997- 8922. Dance in Luckenbach - Tonight! Enjoy dancing to the Amber Digby Band in the world famous Luckenbach Dancehall. Please call 888/311-8990 or 830/997-3224. Admission is free and the dance starts at 8 pm. Enjoy dancing to Ryan Bingham & The Dead Horses with the Doug Moreland Show opening in the world famous Luckenbach Dancehall. Please call 888/311-8990 or 830/997-3224 for more information. Join the Chamber of Commerce in welcoming D'Vine Wine, 318 E. Main Street, to our community. Their ribbon cutting is Friday at 4 pm, with their Grand Opening Saturday. Please call 830/990-8466 for more information. Enjoy dancing to Reckless Kelly in the world famous Luckenbach Dancehall at 5 pm. Please call 888/311-8990 or 830/997-3224 for more information. Enjoy live music from Scott Rotge in the Biergarten at The Auslander Biergarten and Restaurant, 323 E. Main Street. Please call 830/997-7714 for more information. Fredericksburg Event Center, 224 FM 2093, and Street Dreams presents a weekend featuring car clubs from across Texas. Friday is steak nite, Saturday is a rally and car social and live music and Sunday is brunch. Please call 830/990-1010 for more information. Come see the ongoing work that volunteers do directly and indirectly at the Pioneer Museum. The Volunteer Corps of the Gillespie County Historical Society is hosting a dinner and program updating the progress of the reconstruction project. A catered dinner will be served in the Social Hall for $7.50. Please call 830/997-2835 if you wish to attend the dinner. If you would like to become more active with the Pioneer Museum, please call 830/990-9305. The Willow City Loop, will be closed to thru traffic, Monday, March 3 through Monday, March 10, approximately six (6) miles from the Willow City intersection at FM 1323, so that the Gillespie County Road crew may make repairs to a low water crossing. It the weather does not permit, the closing dates may be extended. Call the Gillespie County Commissioners Office at 830-990-7567 or 830-997-7503 for more information. Enjoy live music from Clue & The Honkeytones in the Biergarten at The Auslander Biergarten and Restaurant, 323 E. Main Street, beginning at 8 pm. Please call 830/997-7714 for more information.